Measuring 4.5 metres across, this relatively small antenna in Australia, dubbed NNO-2, will be the first to hear from the soon-to-be-launched Aeolus satellite, the first ever to measure winds on Earth from Space. Set for liftoff on 21 August 2018, at 21:20 GMT (23:20 CEST), Europe's wind satellite will be lifted into space on a Vega rocket. Once the pair have reached the required orbital altitude, at about 320 km, the satellite will separate from its carrier, marking the beginning of its free flight journey around our planet. Aeolus' first steps after separation will include the automatic unfolding of its solar 'wings' and turning its antenna to face Earth to start sending signals. Only then will teams on the ground be able to get any sign from the satellite that all is well. Until this point, for the first nervous moments after launch—about one hour and ten minutes—mission teams will be patiently waiting for the first message to be captured and transmitted by this small antenna at New Norcia, Australia. Since 2015, NNO-2 has been pointing to space, listening for signals from rockets and newly launched satellites and transmitting instructions and commands to them from engineers on Earth. This small and agile dish quickly and precisely locks onto and tracks satellites during their critical first orbits. 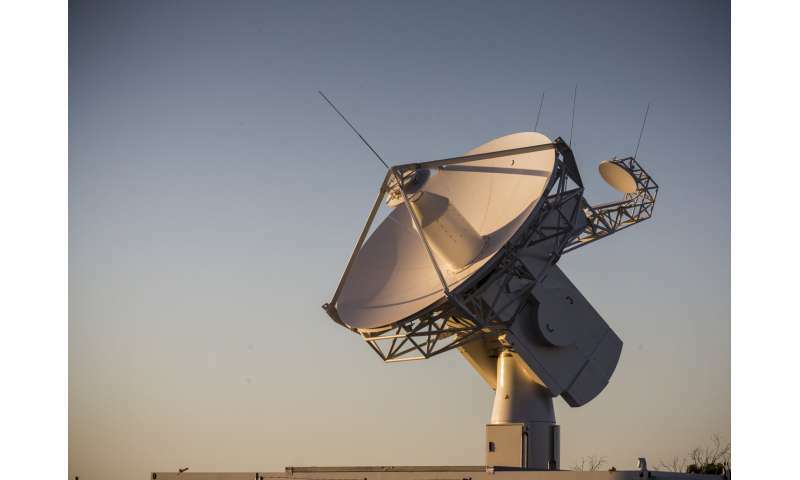 As part of Estrack, ESA's global system of ground stations, it provides vital links between satellites in orbit and the flight control teams at ESA's mission control centre in Darmstadt, Germany.